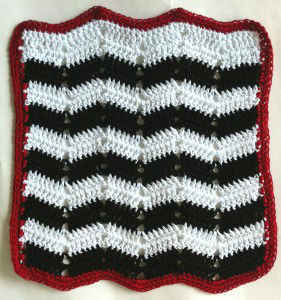 Here is another great dishcloth from Carol Ballard. 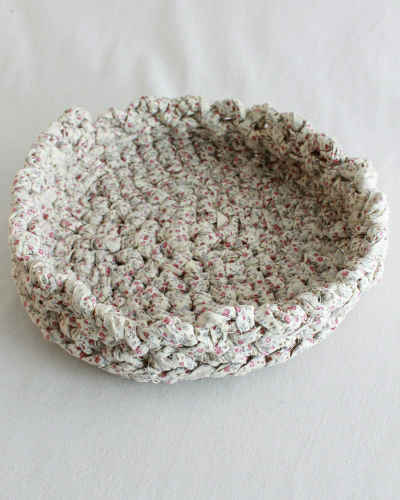 She used 2 strands of crochet cotton thread size 10 for this design. The Retro Ripple Crochet Dishcloth is now available in the Black, White, red & Yellow Crochet Pattern Set. I love this dishcloth! I like the double strand of size 10 for dishcloths as they dry faster. Size 3 thread works up well too. I made this one with scraps. 1 strand of navy and 1 of white and used 2 strands of white for the trim. I’m now working on my second one. Thanks for the great pattern.